So pleased to welcome back this amazing team of creative performers back to Sekolah Gunung Merapi for their second inspiring show. 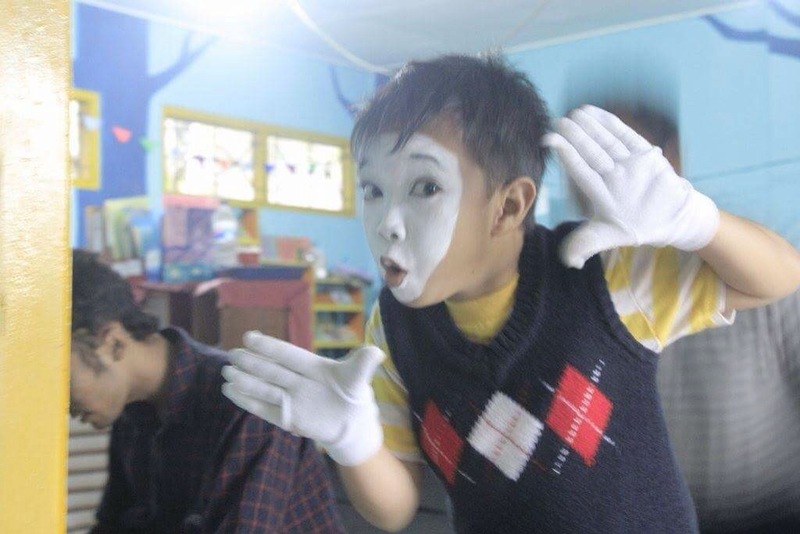 Mas Banon: a professional pantomime performer who delighted the students with his comic and musical performance based on a enthused percussionist, with his sometimes unruly drum kit. Kak Rieza and kak Dodi, professional pantomime performers and practitioners from Jogjakarta who through their spectacular and comical duet showed the magic and comedy that can emerge from simple everyday tasks; pouring drinks, climbing ropes and starting motorbikes! 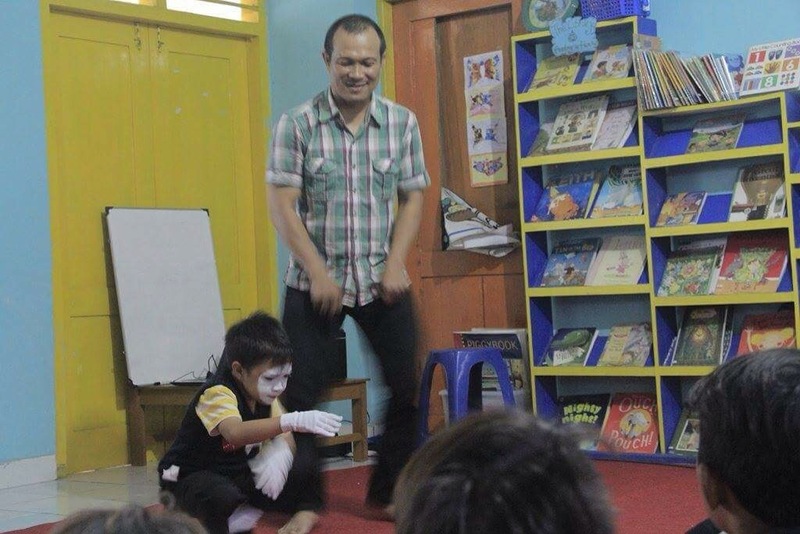 Mas Nanang: magician and master of sleight of hand who bewitched the students from start to finish. On a misty and rainy friday afternoon, these wonderful and magical artists entertained and inspired he SGM students until nightfall and also spent time to answer many questions about the world of the performing arts. All the students and SGM team had an amazing afternoon, and left with a thousand new ideas and dreams. Thank you so much to everyone who took part in the event, all the students who attended, all SGM volunteers for their help, Mbak Daniy for the incredible photos and to Mas Vian, Mas Banon, Mbak Natasa, Kak Rieza, Kak Dodi and Mas Nanang for their time and energy! Can’t wait for your next visit! 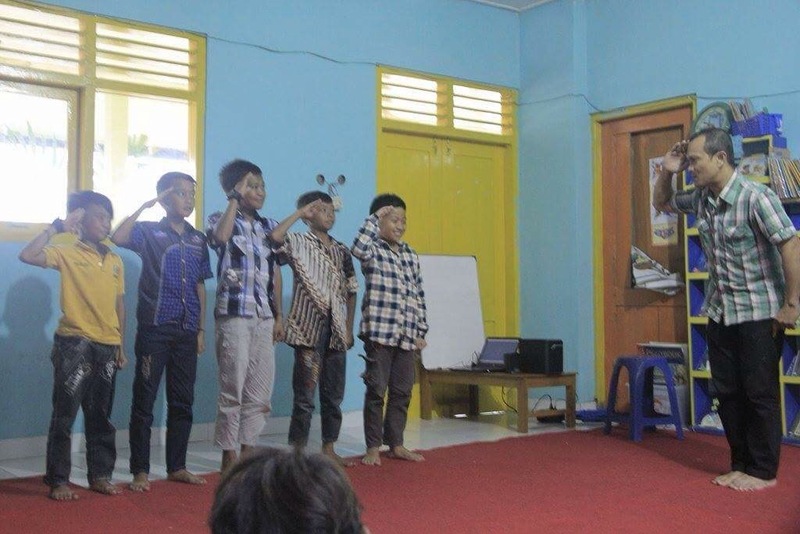 Our students, taking part in a drama game. A flat tyre! Kak Rieza and Dodi do some bike repairs. 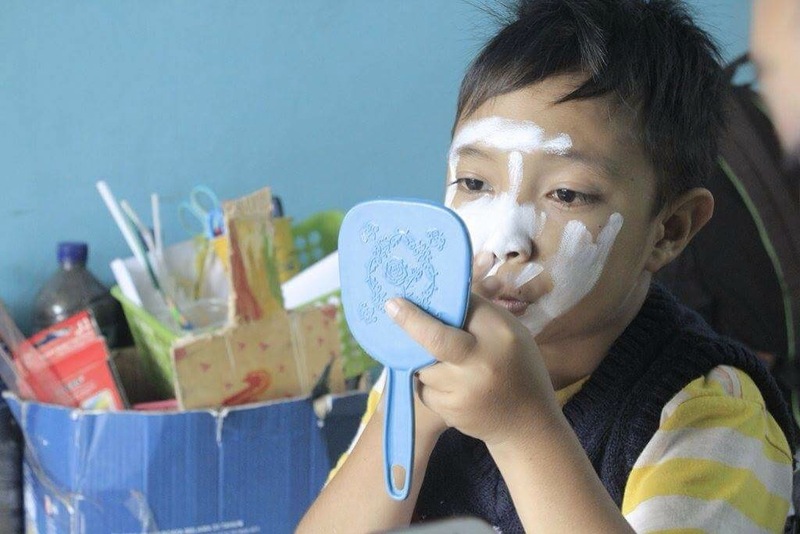 Kak Dodi, getting into character. Raise your hands if you want to learn pantomime! → Sekolah Gunung Merapi makes the news!